About 2,500 different species of venomous snakes live throughout the globe. With the exception of a few, these species belong either to the Elapidae or Viperidae families. Pit vipers are members of the latter group, ranging in size from several feet to a few inches in length. Although they usually stalk smaller forms of warm-blooded prey, they can be deadly to humans if and when they feel threatened. A pit viper is best identified by two small holes located on its face, one beneath each eye. These recesses lead to an organ inside the snake's head that helps the animal sense and locate warm-blooded prey. These vipers, like the majority of venomous snakes, carry fangs toward the front of their upper jaws. However, unlike those of other snakes, pit vipers' hollow fangs are hinged, allowing them to be folded into the higher reaches of their mouths when not in use. The most common varieties of pit vipers are rattlesnakes, copperheads and water moccasins (or cottonmouths). Of these three groups, the largest is the rattlesnake, of which about 30 species exist. Pit vipers found in tropical and especially humid areas rarely carry rattles, although they are known to produce the deadliest of all pit viper venom. The majority of species are located in southern Canada, down through the whole of North and Central America, and in areas of South America, as far as the northern edge of Argentina. Other pit vipers can be found in Asia and Eastern Europe. Pit viper venom contains a cocktail of chemicals that features a lethal hemotoxin. When injected into a pit viper's prey, this toxin shreds the animal's red blood cells and vessels, causing immense pain. This sort of venom is unique, as other types of venomous snakes contain neurotoxins that paralyze the respiratory system. Pit vipers—specifically copperheads—are responsible for more reported bites in the United States than any other type of snake. Luckily copperheads produce a relatively mild venom that rarely causes fatalities. 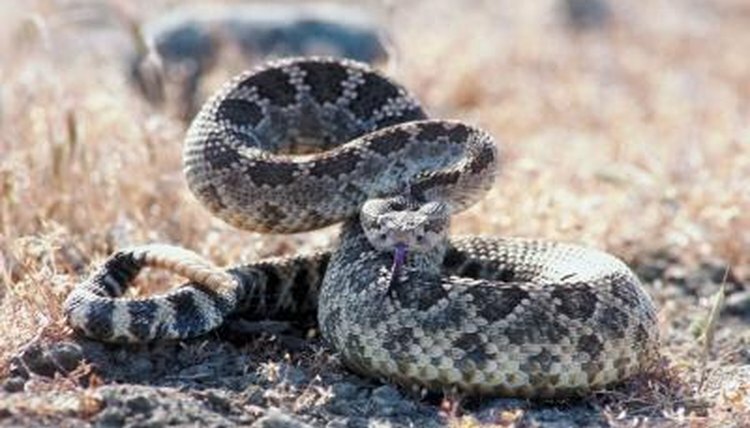 One 2002 report showed that between 1960 and 1990, no more than 12 deaths from snakebite were reported each year. However, in 2008 the number of reported annual fatalities rose in the American Southwest, probably in part because developers were beginning to move into desert regions previously left untouched. University of Georgia: Ecoviews: What Are Pit Vipers?